The best way to provision your own bareboat yacht is by visiting the local Greek markets. 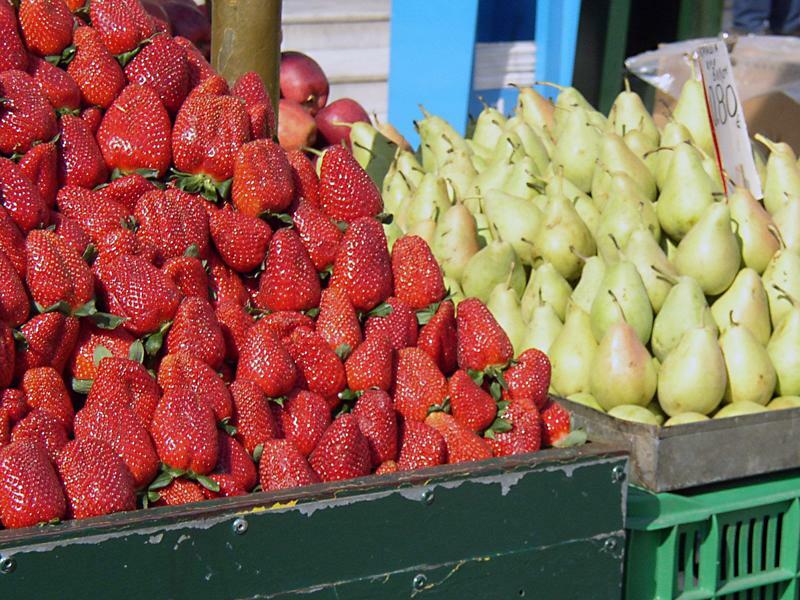 Here you will find a plethora of really fresh and locally produced vegetables and fruits. It is also the way to go for those on cheap holidays. Personally, I find cooking onboard - and not always dining out at estiatorias and tavernas - a real treat. Modern bareboat yachts are perfectly equipped with a small galley, only problem can be the standing height below deck. Greece is famous for its apricots, figs, kumquats, cherries and peaches. Moreover, there are lots of different varieties. Therefore, sailing in Greece - see here for cheap bareboat rental companies - always doubles as a culinary trip as well! On the more remote islands away from hotspots like Lefkas, Athens, Paros or Skiathos it might be more difficult to find good ingredients, yet prices are always right. Also note that some goods will be brought in by ferries, while this makes sense for newspapers, I do prefer my feta cheese to be produced locally instead of imported from Denmark. Contrary to bareboats, gulet cruises (blue cruises & blue voyages), are fully crewed: you will have your own cook on board.